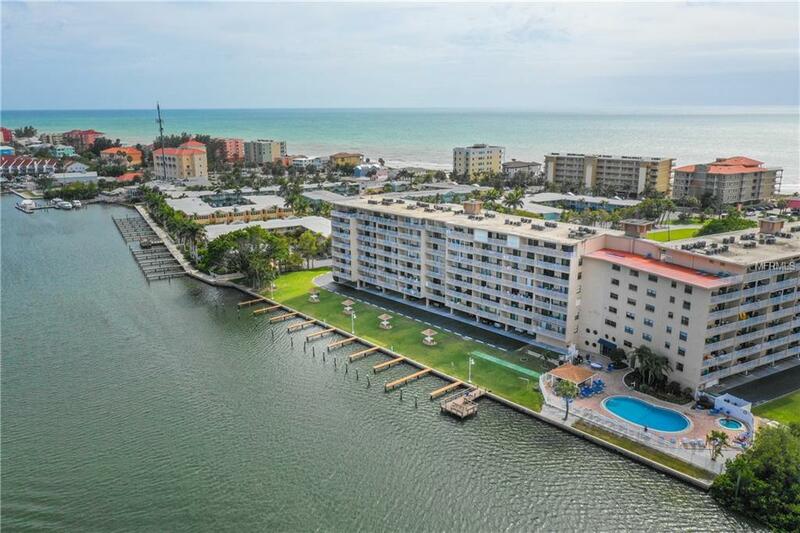 Feel immediately at home in this gorgeous coastally decorated waterfront condo in the much desired Bayshores Yacht and Tennis Club! 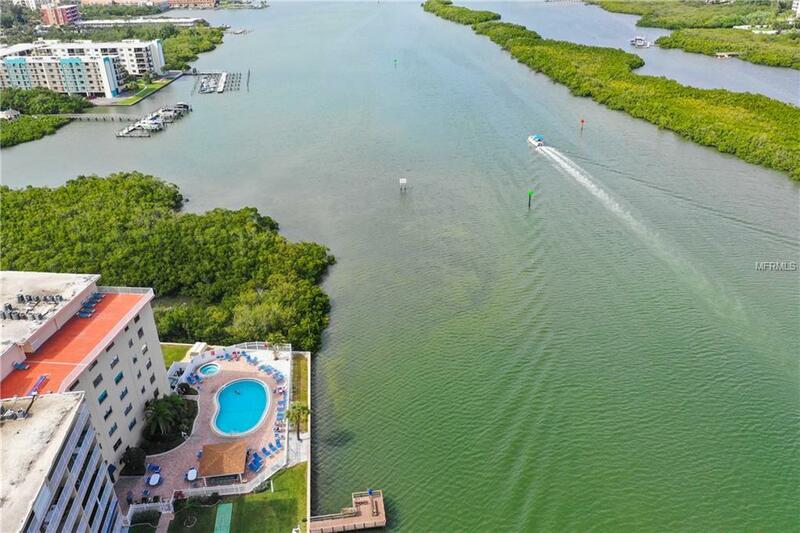 Its the perfect personal Florida retreat that can also double as a fully furnished turnkey investment property, with RARE 7+ DAY RENTALS allowed. Recently furnished just two years ago! 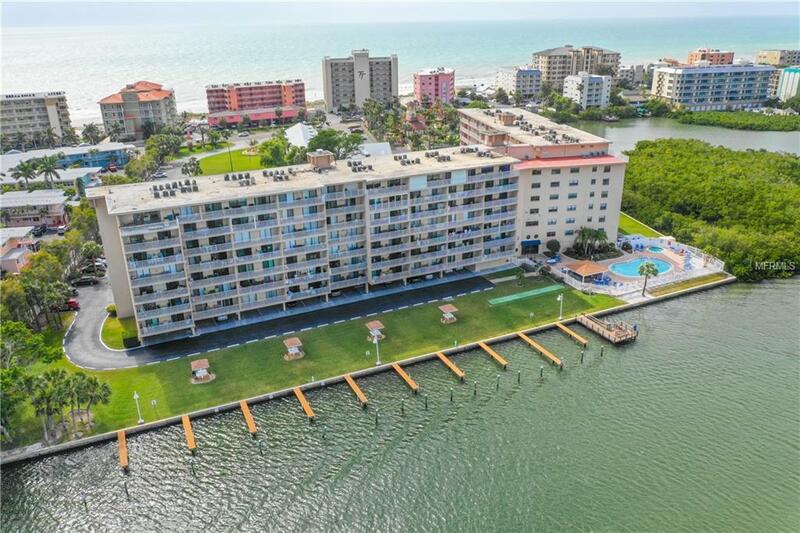 Its open floor plan flows seamlessly from the kitchen to its private 24ft sweeping balcony with spectacular water views. Perfect way to start or end your day! It can be accessed from the living room and the master bedroom, via the upgraded hurricane grade sliding glass doors. Take advantage of all of the amenities the club has to offer with its boat slips on premises, waterfront heated pool and spa, fishing pier, kayak storage, bike racks for owners, shuffleboard, lighted tennis courts, putting green, saunas, BBQ area, Tiki huts, on-site laundry, rooftop sun deck, elevators, and fitness room (small extra fee). After lounging by the pool, head over to the sugar sand beaches of Indian Shores right across the street and soak up the sunshine! There are two public lighted crosswalks for safety. This unit also comes with an assigned AND COVERED parking spot. 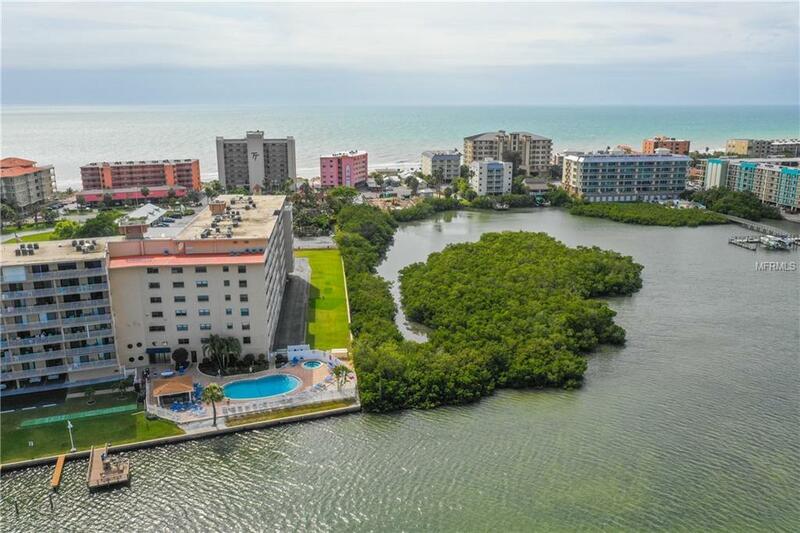 Whether you are looking for a resort-style Florida getaway, a dynamic investment property for your portfolio, or a hybrid between the two, this is one you do not want to miss out on! Additional Lease Restrictions Rare 7 Day Rentals Allowed! Great For Airbnb And Vrbo.